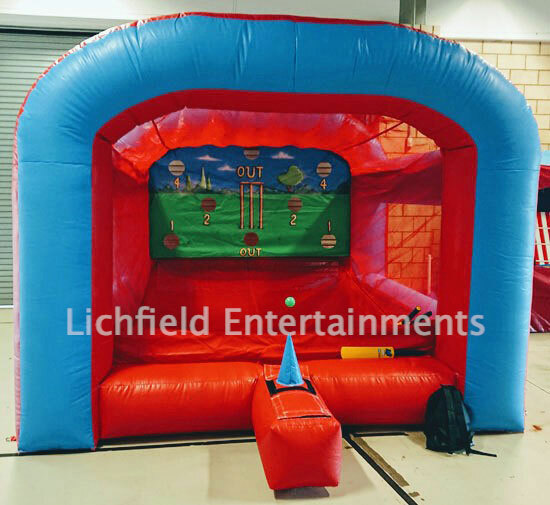 While we've had our inflatable Baseball Strike target game for a while the Cricket Strike version of the game is brand new addition for Summer 2108 bought especially for the T20 Blast fanzones we provide. 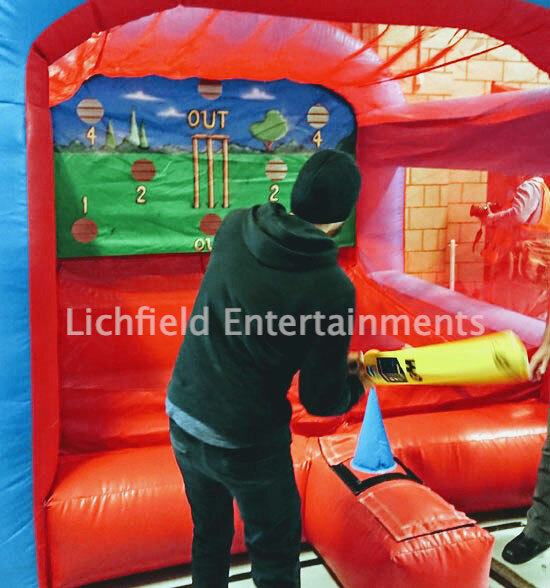 Both the Cricket and Baseball Strike are inflatable target type games suitable for all ages from 6 upwards and are guaranteed to prove very addictive! 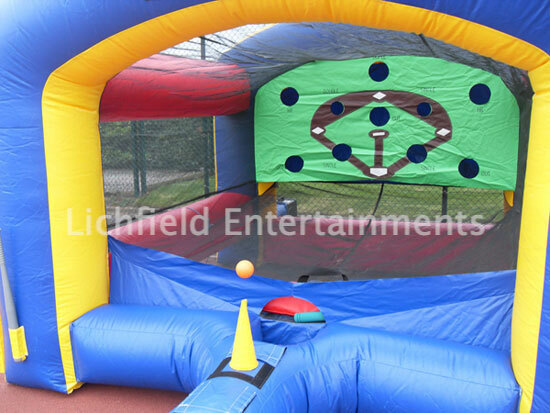 The ball hovers in a vertical airstream coming from the front of the inflatable and the object of the game is for the participant, using a safe plastic baseball or cricket bat, to try and strike the ball from the airstream into one of the target holes scoring as high as possible while avoiding the run or caught out holes. This all sounds straight forward but with the ball moving up and down in the airstream even hitting it is easier said than done! If you have any queries, questions, or would like to book the Cricket Strike or Baseball Strike game please click here to enquire and we will do all we can to help.